We didn”t do too badly in the WGC Matchplay last week. It could have been better with Kisner and Willett coming close but just not making it out to the group stages after a great first round. 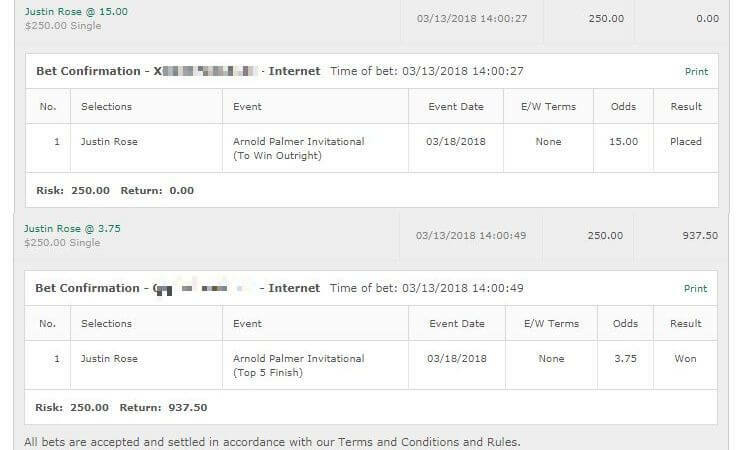 We were relying on Rory McIlroy and while he got to the semi finals to profit us some each way cash he unfortunately couldn’t wrap it up. That game against Jason Day was incredibly frustrating to watch because after about 5-6 holes Rory should have been about 3 up and I expect Day would have not been able to recover. Unfortunately Rory kept giving Day the opportunities to stay in it and Day went on and win. Impressive, impressive form by Jason Day. The Shell Houston Open is the last tournament before the Masters and we do of course have betting tips for it. I’ll be completely honest. I haven’t been impressed with Spieth much this year. He got the win at the Hyundai but his form has deleted since. Of course what’s bad for Spieth in terms of form is still good for others – but he hasn’t cracked the Top 15 since then and was even cut at the Northern Trust Open after one of the worst rounds he’ll ever have. However I think Spieth playing here is important for him – he wants to go into the Masters with momentum. He doesn’t want to go into it with the failure of the WGC trailing him. He also came 2nd here last year – although he did miss the cut the year prior. But I think with no Day or Rory that Spieth is going to be extra motivated, and we’re going to see him take this one down. 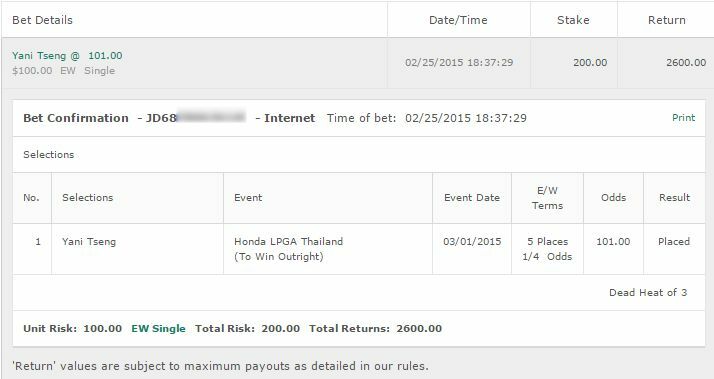 We’re going to wrap this up with a couple of smaller bets. 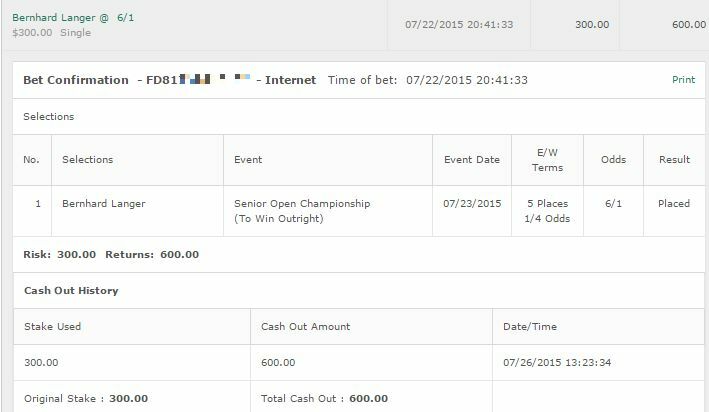 We’re going to take a quarter unit on J.B. Holmes to win and E/W and we’re also betting the exact same on Keegan Bradley. Finally the same on Steve Stricker. Unfortunately I’m traveling right now – sitting on a train typing this actually so can’t get into too much detail – but I’ve did the research and I feel there is value on those 3. Good luck. We’lll be back with Masters Betting Tips on Monday or Tuesday.